Arkanoid is back! Re-live some classic arcade action, updated to work on current PC's! Take control of the Vaus and destroy all of the blocks to advance to the next level! 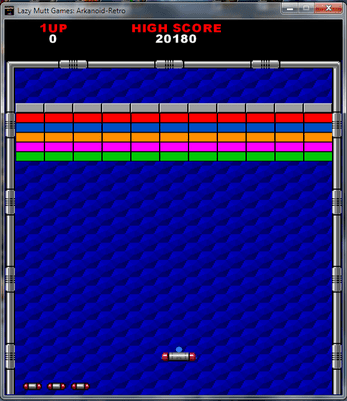 Arkanoid-Retro demo arcade game is ad free and free to play online! Arkanoid is an arcade game released by Taito in 1986. It expanded upon Atari's Breakout games of the 1970s by adding power-ups, different types of bricks, a variety of level layouts, and visual layering and depth. 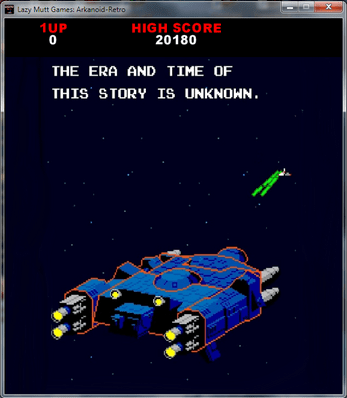 The title refers to a doomed mother ship from which the player's ship, the Vaus, escapes. It was widely ported to contemporary systems and followed by a series of remakes and sequels, including the 1987 arcade game Arkanoid: Revenge of Doh. 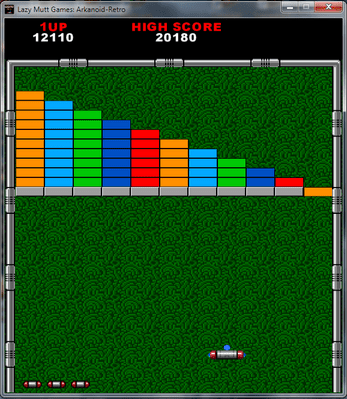 Arkanoid revived the Breakout concept, resulting in many clones and similar games for home computers, even over a decade later.